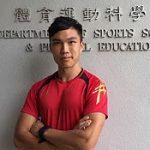 事實上不少研究已指出長時間的靜態行為 (Sedentary behaviour) 除了會引致肚腩和byebye肉外，更會影響健康，增加心血管相關疾病風險! 那點算好呢? 原來，在外國早已興起動態辦公室 (Active workstation) 概念，原理就是讓大家在工作間透過輕量運動 (如慢行/站立)，令肌肉保持活躍，消耗卡路里之餘，也不會影響工作效率! Torbeyns, T., Bailey, S., Bos, I., & Meeusen, R. (2014). Active Workstations to Fight Sedentary Behaviour. Sports Medicine, 44(9), 1261-1273.